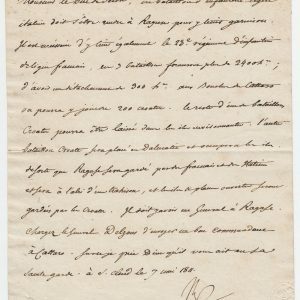 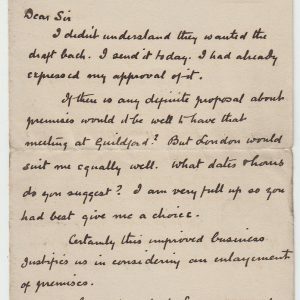 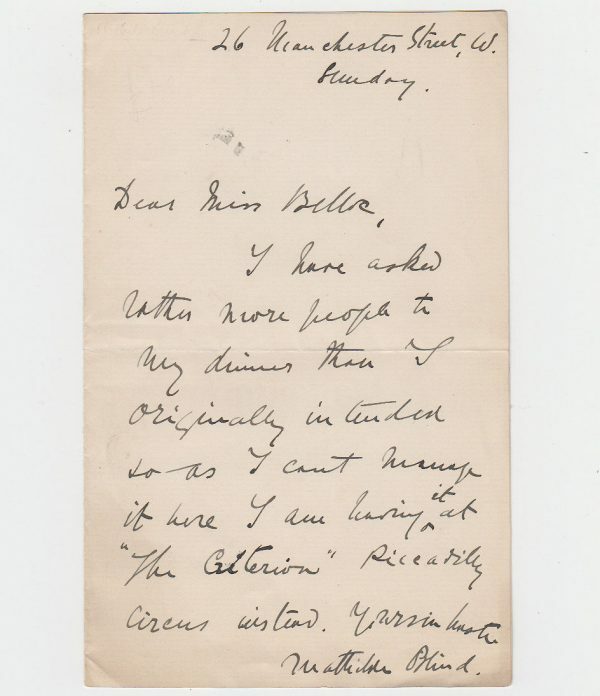 Autograph Letter Signed, to Miss Belloc, saying that she has asked too many people to dinner, “so as I cant manage it here I am having it at The Criterion, Piccadilly Circus, instead.” A good one page example, 7 x 4½ inches. 26 Manchester Street, Sunday, undated. 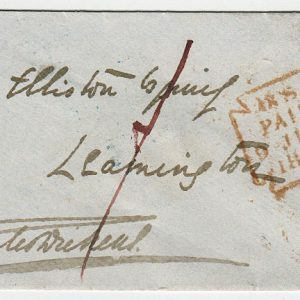 Mathilde Blind (1841-96), poet and biographer.